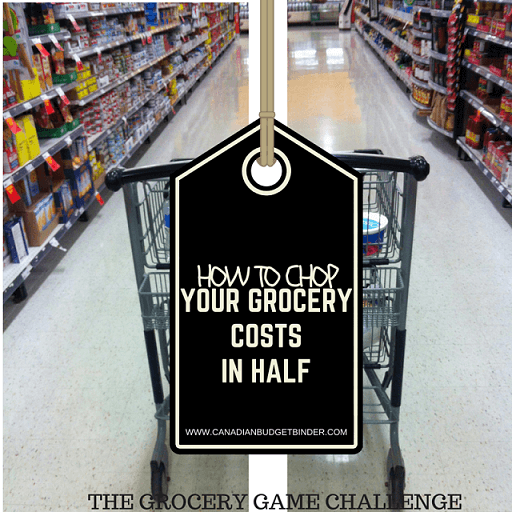 I’m sure you think that it’s impossible to cut your grocery costs in half and for some of you it may be challenging but for others who are determined it is possible. The problem with so many people who overspend is realizing that they need to change and put stops in place to stick with it. How much should your grocery budget be? If you don’t know the answer to this question today I’m going to share with you how you might be spending far TOO MUCH on groceries for no reason at all. Let’s examine the ways you may be overspending and how you can chop your expenses without feeling deprived. Just because you grocery shop at a cheaper grocery store doesn’t mean you are winning with your grocery bill. No matter where you grocery shop there will ALWAYS be deals which means not one grocery store is created equally. This is the beauty of consumer marketing at it’s finest. In the event you live in a small town and have one local grocery store being mindful of your grocery expenses may become imperative for those who run their ship on a tight-budget. I’ve written about grocery shopping for years now and have learned more than I had ever anticipated about grocery shopping trends, in-sights and snooping into my fair share of grocery carts. What I’ve learned is that grocery stores will never stay the same, they always evolve which means your budget and shopping habits need to reflect these changes. Remember the grocery store is not your friend, it’s a money shaker at best. HELP ME LOWER MY GROCERY BUDGET! Most people who have the money or don’t mind putting groceries on a credit card because they pay it off every month likely won’t care about cutting their grocery budget in half. These types of grocery shoppers may be intrigued with simple savings such as in-store deals or flash sales, buy one get one free, bulk shopping or regular weekly sales. Even then these types of shoppers may be spending more than they should be but they may not care because of unlimited funds. 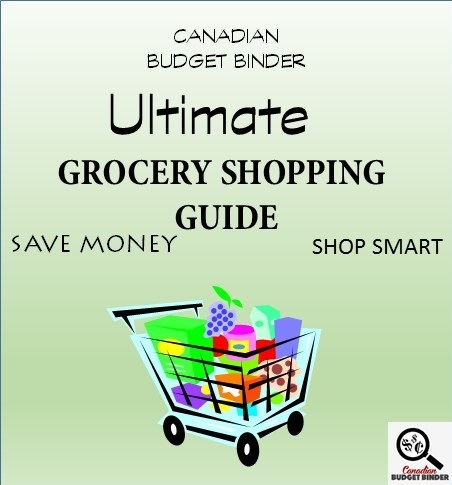 If you need to cut your grocery costs in half that means you have some work ahead of you BUT it is possible and many of us have proven that it can be done. Don’t get scared off by the word ‘work’ either because if you think you’re going to get your budget on-track with magic tricks you may as well close this post. It ain’t going to happen! We’ve been working on it since 2012 when we realized we were spending hundreds more than we were supposed to be. You may not get to eat all the same foods you are currently eating but if money is the name of the game here you have to consider what foods are important to get you through the week or month and how you can create inexpensive recipes with what you have on hand. One of the most asked questions I get about grocery shopping is, How much. How much does a family of 4 spend on groceries? How much does grocery shopping for 1 cost? Comparing what you eat to someone else will never work. It would be like comparing your appearance to someone else. It’s just not a smart idea and you set yourself up for failure that way. Putting too much pressure on yourself to ‘change’ everything right away is a recipe for disaster. The average grocery bill for 1 in Ontario will vary depending on the individual and their needs and eating habits. For the most part you can expect to spend at least $30-$50 a week if you keep your meal plans simple without all the “extras“. That means you are eating limited meat and substituting with other nutritious protein sources such as legumes and picking up other foods that are on sale in the weekly flyer. If your grocery costs are too high or have increased to the point where you are spending more on food than you are on rent or a mortgage I’m going to share with you how to cut your grocery costs in half once and for all. We’re a young family of 3 and our grocery costs are double what we should be spending every month according to our budget. We are trying to pay our mortgage off earlier but it seems we are putting that money towards groceries more so than extra payments. Can you help me to cut our grocery bill in half so we can put the money towards other debts? I’m at my wit’s end with food shopping especially with the costs rising at every grocery store but my husband and I both struggle with the buying more than we need syndrome because it looks or sounds good. I can send you our numbers and how we grocery shop in hopes you can see something we aren’t. The problem with Carol and Chris is that they know they have to make changes but maybe aren’t willing to let go of the things they know they shouldn’t be buying. The reason I say that is because they use a grocery budget BUT they still over-spend by double every month. This tells me that they struggle with setting financial limits as a couple. I can’t promise you that you will cut your grocery costs in half BUT if you are spending double what you should be then you should have limited problems lowering your expenses significantly. After reviewing Carol and Chris’ grocery budget of $540 a month for 3 we found that they are spending over $1000 a month. Ouch! I was waiting for more information about the way they grocery shop but unfortunately there was no agenda for groceries in their household. Just because you know or think you know how much you can ‘afford’ to spend on groceries doesn’t mean that you are a smart shopper. If Carol and Chris can slash their budget costs in half they can use the extra approximate $6000 a year to put a lump sum payment on their mortgage or to pay other debts. How many times have you heard people say they saved a tonne of money using coupons? Extreme amounts likely as the internet is dripping with consumers buying into the coupon frenzy. We were in that position probably leading the ranks in our local community years ago. Believe it or not we even met up weekly with a couponing group to swap coupons and talk about what’s been going on in local stores. We’ve more than cooled off that expensive habit. Canadian coupons are helpful to spend even less than you would have if you didn’t have the coupon BUT they can be more harmful than good if you should be putting your money towards other debts. You’re not saving money if other bills are accumulating interest. Say that with me… You’re not saving money if other bills are accumulating interest”. There now you can’t say I didn’t warn you. Here’s the thing, you can’t balance something when there is nothing to compare on the other side. In this case Carol and Chris need to invest more time into their finances and other aspects of the grocery shopping extravaganza. I call it that because it truly is a race to the savings every week. Some weeks are better than others but you can’t expect to always come out ahead. Below are some of my must-read grocery bible savings tips to live by if you want to lower grocery costs and stop worrying about how much the bill is going to be. If you want even more grocery education grab a cuppa tea and read my Ultimate Grocery Shopping Guide that is FREE to all subscribers. If you catch yourself saying that you can afford to spend approximately x amount of dollars on groceries for the week or month. STOP! This means you have no idea how much money you can spend. There is no ‘approximate’ with a grocery budget. It is what it is, an expense that needs to be monitored like any other in your monthly budget. 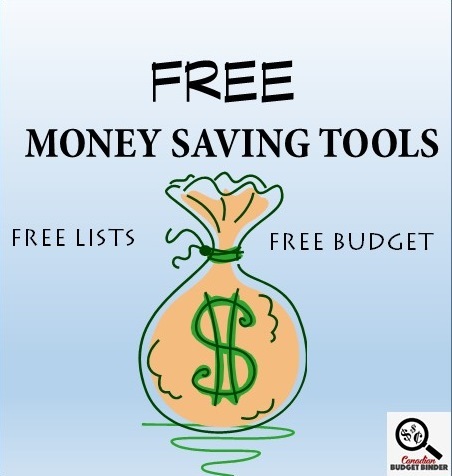 I urge you to download my free budget template to get started if you aren’t already using a full budget for all of your financial needs. That means you will know the exact numbers of your monthly expenses, debt-load and how much you are earning. You need to know this stuff to succeed. Get real with your money and stop guessing. Before you start go chopping your grocery costs you need to know what you like to eat. If you are reading this on the internet you have so many available resources to help you discover frugal meals that are healthy and pack a punch with flavour. Check out my Free Recipe Index for foods our family cooks and loves but also source fabulous recipes on Pinterest. Continue to test recipes you think you might like and when you do add them to a recipe box. In no time you’ll have a full box of delicious inexpensive recipes that you can rotate into your weekly meal plan. Once you have a stash of recipes you can start planning your meals effectively. This takes time like anything else but eventually you will only need to buy ingredients to cook your meals throughout the week or month. Depends on how often you shop. When your weekly flyers come in the mail or if you use the Flipp app check out what is on sale for the week then head to your recipe index and find out what recipes you can make to fit the sales for the week. It’s such a simple concept however the hardest part for everyone is finding the time to do it. As new parents we are understanding the struggle even more so than we had ever imagined for parents. We get it now so we like to make everything we do, easy and quick if possible. Once a week we sit down and create our shopping list and meal plan. Since I like to experiment creating meals our shopping list can be even more challenging but it’s fun coming up with ideas based on weekly sales and what’s in the pantry. Please DO NOT grocery shop without a list. It’s not uncool trust me!! The premise behind using a grocery list means you must be poor, struggling or cheap is NOT TRUE. I’ve heard it all before. If you’re that worried about a list you can load it to your phone to keep up with the times. Some apps even offer you access to create a grocery list while searching for the best deals. Something to think about. Don’t fall prey to every marketing ploy going at the grocery store. If you do this then you can bet you will fall off the wagon. My wife and I struggle with this so much which is why we started the grocery game. It’s easy to say but hard to do. What I suggest is to stick to your grocery list. If you see an item that is not on your list and possibly reduced in price and it’s a must-have then get it. When I say must-have I don’t mean junk food either. I’m talking about ingredients that are typically out of your price range which you can create meals with. Straight up, stop buying junk food. If you must buy pre-made foods at least make sure you have a grocery budget so you aren’t overspending. Buying chocolate, chips, cookies, ice-cream and I don’t know what else is fine in moderation but pick 1 as opposed to all of them every grocery shop. Limiting the amount of salt and sugar in your diet will take you from feeling blah to wow. Related: Are we eating too much salt? Junk food alone for many shoppers will cut a huge part of the grocery budget. Don’t believe me. Go through what you typically buy every week and remove it from your list. How much was your grocery shop then? Can you live without this food? Probably! It’s all part of a mind-set. If you stock it you’ll eat it. If you don’t stock it you may make it homemade but even then that’s still cheaper and likely healthier. In conclusion most local grocery stores today want you to shop frequently so they have flash sales, surprise in-store deals just so you spend more money. Choose your shopping battles wisely because when you tally up how much you are overspending it could mean the difference between debt freedom and pro-longing what you could have earlier, no debt. What other ways can you add to help those struggling with over-spending at the grocery store? We didn’t need too much this week as I ordered Chinese food for myself which was a surprise from my wife because she loves me. We hardly ever eat out so it was so nice not to cook for one meal and enjoy some family time. I’m sure that was what it was all about. We don’t have much left to spend for the month and the freezer is starting to get low. I hope we can find some good deals in the next month or so. On a good note we have our PC points back up to a good spot so if we need them we can use them. I’m hoping not. Don’t forget to Subscribe to Canadian Budget Binder by Email to get my daily email. Once you subscribe you MUST VERIFY your email account so check your spam folder and inbox for that email! By Subscribing you get all the inside scoops first plus any new finance tools and tips! Another expensive week. Despite being caught up on the overspend, our shelves and freezer were getting pretty bare. So, we have managed to restock a great deal this month hoping that the summer will be easier and that we will have more to get through to the veggies from the garden growing. Thank goodness for the Neilsen Homescan Visas. I hope they keep coming, however, I am new to this program and have no idea. At this point I still have two waiting to be used, it will be coming soon. We decided to take a bit of our income tax return and buy some items for the freezer. We are not counting this into the budget. It is a one-time spend and we decided it was more important to get food for our home than invest it, pay a bill or spend frivolously. We also bought tires for the car. So, during this week we visited the Butcher Shop for their annual sale and purchases 2 boxes of hamburgers at $40 each, a box of jumbo Lesters hot dogs at $18 and 11 lbs of fresh boneless skinless chicken breasts at $55 for a total of $153. With that and the stocking up that we have done recently, our freezer is full again. We are hoping that the items will get us through a good portion of the spring and summer. I will pick up the odd item for the freezer that is a great deal, or if we need frozen fruit. I am still job hunting and hubby doesn’t want me to go to the food bank. As much as I would love to have put the money to a bill, it takes the pressure off of me for a bit and makes menu planning a bit easier since we have some choice in the freezer again besides shredded zucchini and pureed pumpkin. We have wayyyyy to much of both. Over again this week but there is plenty of room yet in the budget plus I don’t need much right now. I got a nice number of PC Plus points on this trip plus we hit the Zehrs gas bar for the truck and I can use my points card there. Almost $70.00 worth of gas does a very nice number for the points level!! That old truck of ours has a big tank on it to feed that big V8…two more weeks to go. The younger boy enjoys his bagels for breakfast every morning with jam on them so he has a few extras in the freezer now, won’t have to pay full price for a bit and I can watch for another sale. Thanks for sharing your tips. We make up a weekly meal plan (breakfast, lunch and dinner) and budget every week but I’m looking to re-apply some of your tips to cut back on our grocery bill. We come in under budget but it would be great to cut back a little more to re-allocate the money to another place. You’ve inspired me. Thanks! This is what we’ve been doing over the years and another part of how we were able to become mortgage free in 5 years. It’s about planning, balance and setting goals. Good luck!! You are one awesome shopper man! Hoping to follow your lead and retire in North America within the next 10-15 years. Great post. and we still have lots of food in the freezer. You are one amazing shopper.. how do you do it? Was there a point when you were spending too much and decided to take back control? I never worry about how much I spend. Some people go ‘grocery’ shopping, which is something we no longer do. The flyers come and I go thru them, to see what the specials are, and write them down. If we happen to go past the store we stop in, and when appropriate we stock up. Except for milk, and maybe some fresh fruit & vegs, I could easily go another month without running out of food. In the meantime, if more great sales show up, I’ll take advantage. It really makes a huge dent in our grocery bill…stocking up. I don’t like throwing away fresh produce, and we don’t eat a lot or frozen or canned …so we try not to buy too much at once. Our meals tend to be simple…a roast of meat, potato, and a veg for supper. Breakfast is generally egg or cooked porridge, with toast and fruit. Lunch is usually coffee and donut or chocolate bar 🙂 …basically our dessert food. Hubby took a little road trip to the US but he didn’t do nearly as much shopping as we normally … I sent him with a really short list! Remember the Vitamin C rain check I told you about last week? Hubby’s rain check meant he got 1,200 – 500 mg tablets for $23.08 and saved $21.98 in the process. That’s darned near a 50% savings! Three cheers for Larry! 1 2L Lucerne Chocolate Milk $2.99 < a treat for hubby's lunches! 1 Family Packs Hebrew National Kosher $8.48 << BBQ Hot Dogs time! 1 pkg Swiss Cheese Slices $8.99 << Monte Cristo sandwiches time! THE POINTS REDEEMED VALUE will be added up month by month then transferred to our Holiday Reserve for Christmas Spending. OUR CURRENT TOTAL UNUSED RESERVES ARE $941.88. This means the $936.51 that we carried forward from 2015 PLUS AN ADDITIONAL $426.57 that we have added in 2016, LESS $421.20 that we have drawn out for use in 2016. I definitely want to hear more about this asparagus lasagna.. wow that sounds so good. Oh, and the tuna shepherd’s pie too. WOW that was a great score for Larry especially since vitamins can be so darn expensive. Great deal on the celery wow! I hope we see that price in Ontario. It’s funny you mention those donuts as our son was munching away on them the other day for the first time. His godmother offered him powdered or cinnamon and he took one of each. Then he proceeded to throw them on the ground until I told them they were cake. He loves cake. He picked them up and licked one and we heard, MMM haha. That was the end of it as he licked and ate them all up. haha.. kids. I heard the cheese at the Costco US stores was much cheaper than Canada. The wife and I probably going to get a membership. We picked up our Ferns there this year for much less and they tend to have enough stuff that we would buy, namely meats and cheeses where the prices are much cheaper. How much do you pay for a US membership? Well done Mary.. I’m sure you’ll more than make up for the overage. It’s great to hear the markets are now open. They are in our area as well. I just need to find time to go them. You get ballot #12 Mr.CBB Have a great week. Mr CBB, buy a Costco Canada membership and you can use it at Costco in the US. Thanks!! Oh… I had no idea you could use it in the USA as well. Thanks for the tip. When I first moved out from my parents house, I didn’t know anything about budgeting or how much to spend on groceries. When I asked my mom, she told me that I should plan to spend $50/person/week. Currently, I now can’t picture that much money on food as my budget it $35/week for 2 people (not including the restocking and stockpile budgets). Overview: Not much interesting things happened this week. I do know that we need to curb our eating out and we’ll get there again. We’ve done it for one month, I know that we can do it for another. Mainly not having meals prepared at home or my daughter doesn’t have the desire to prepare them and I’m hungry.